Saltwater Sportfishing off the Northeast Coast of Massachusetts. 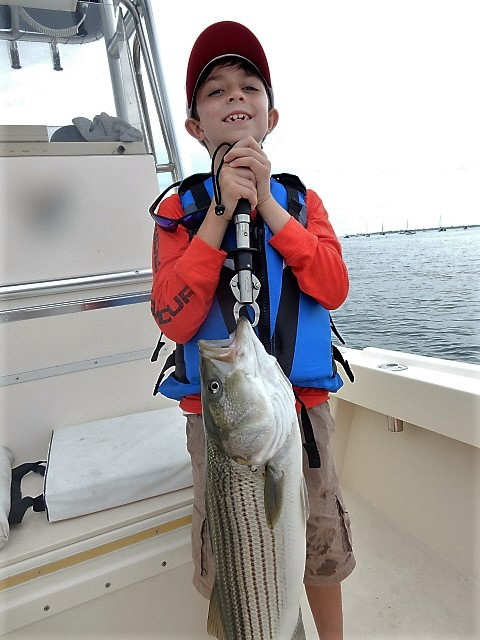 Summer Job Fishing Charters offers private charters, charter fishing (sportfishing) for striped bass (striper's), bluefish and mackerel in the Northeast, including the Merrimack River and Plum Island in Newburyport, Massachusetts. 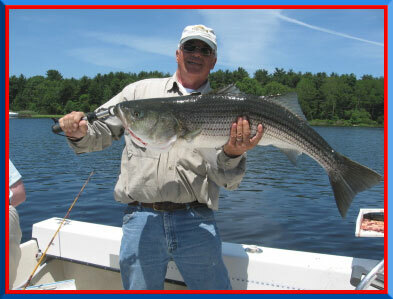 Joe Pinkos with his 46" June striper! The 2019 charter season is just around the corner! Usually I catch the first schoolies around the first week of May. Last year we had a nasty cold snap that slowed the season by 2 weeks. This year is looking "normal" so I hope to be in the water, hunting schoolies in 6 weeks.The first "keepers" should be here by the end of the 1st week of June. I know that some of you are as obsessed with fishing as I am because my phone is ringing. Also I see that you guys are doing what I am doing, trolling the fishing web sites & Facebook pages for any new info on our beloved striped bass! If you are planning a charter, please consider a fishing trip on Summer Job. Give me a call or send an email and we will set you up for a great day on the water. Check out our Fish Photos pages! 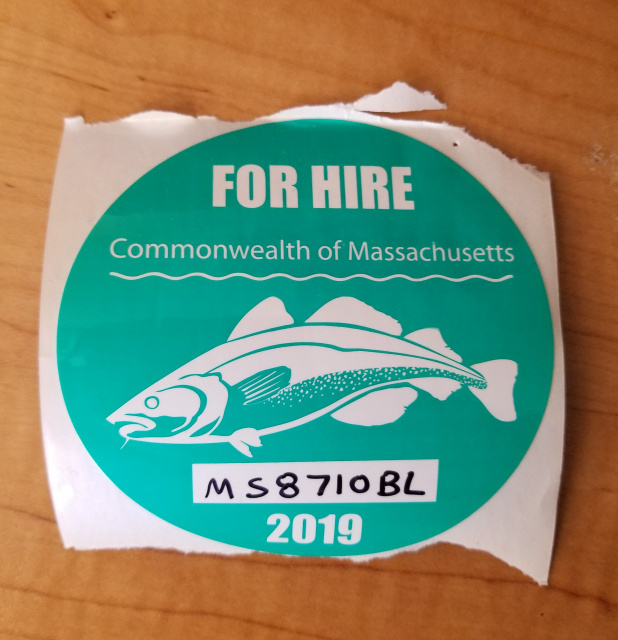 I have the new For Hire decal, now I need a mackerel for the new photo! Nick Grover does it again! This lucky "keeper" was released unharmed. Chuck with one of nine keepers caught today! Come on down, the waters fine!! Megan's 1st striper caught on a live mackerel! striped bass fishing charters since 1999. It's time to start planning your summer fishing fun! Book your MA fishing charter early as the best dates go fast. It keeps on getting better and better!!! Ask any "striper expert" and they will tell you the only good striper fishing is in June! Let them think what they will, join me on Summer Job for a "tiny" striper like Sara's caught in August ! We have good days and very good days on the Merrimack River!! It can be a challenge for many and a charter is much cheaper than owning a boat! Come fish on the Summer Job! Come join the fun on Summer Job! If you are interested in a fishing adventure this summer, please call 978-465-2307 and we can set up a time to catch fish and make great memories.